It's that special time of year, let's venture down the path in how to straighten curly hair. For curlies, when the weather gets dry, cold, many of us decide to be adventurous with our curls for the holidays. Many of us know the woe and joy that can come applying heat to our hair whether it's via the blow-dryer or flat iron. It's got a different texture, hangs around our face differently, and we can even run our fingers through it. 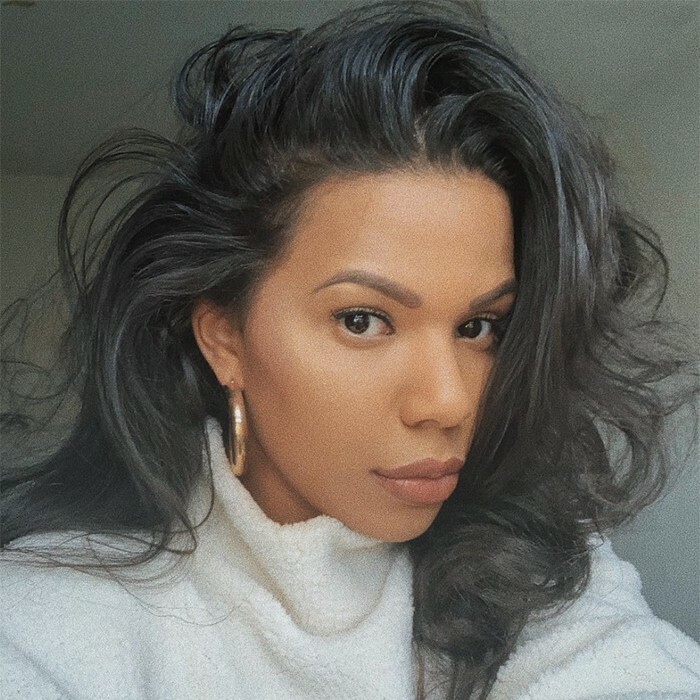 Whether you love it or hate it, straightening curly hair never gets old, but they are ways to keep your natural hair protected, nourished, and healthy. Here are our best serums, heat protectants, and tips for how to straighten curly hair throughout the straightening process. The first thing to know about serums is that they are all about strength. They work to cover up dryness, heal damage, and nourish your hair. The best serums contain natural ingredients that work together to tame frizz and work as a finishing product for your hair. Some serums can be used before/after your straightening process, but think of them as the icing on top of a very elaborate cake. If you want a silky smooth finish, this is your winner. It's light, silicone-free and works to lock in your moisture instead of weighing it down or building up product gunk. This heat protectant hair primer contains smoothing coconut oil for no-frizz hair despite high humidity and conditions hair for shiny hair. A must have for fragile, brittle hair, this hydrating treatment protects against split ends and hair breakage with professional hair strengthening ingredients. A gloss is always the best way to finish out the grueling and hot process of straightening your hair. Remove the frizz, flyaways, and sleek down that straight hair with just a few drops. The key to gloss is to use it sparingly, don't over saturate your hair and give it an oily appearance. If serum is the ying of straightening, then think of heat protectants as the yang that helps complete the perfect picture. Most heat protectants help replenish moisture in curls while defending them from the damage heat can do. Heat protectants are a must-have to keep your curls healthy as you are applying and afterward to keep them dry at bay. 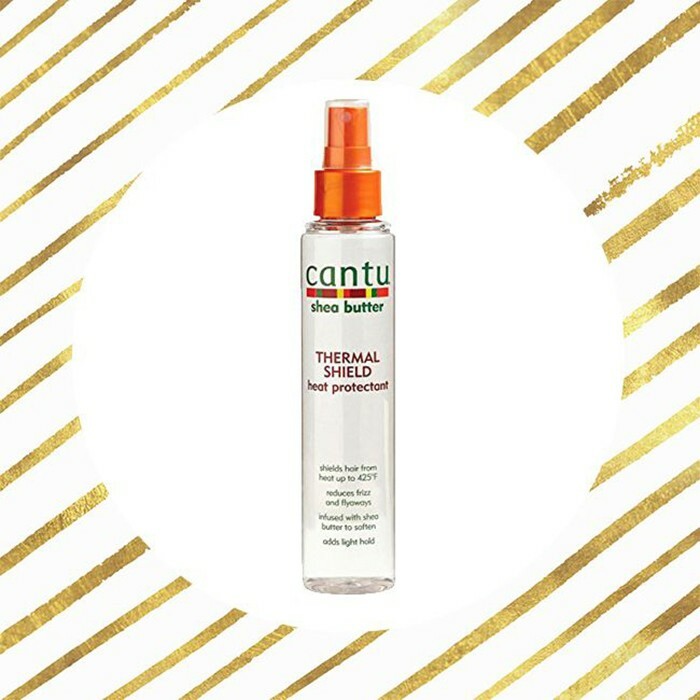 No frizz, flyaways, or fry are key to this thermal protectant that keeps your curls healthy up to 425 degrees. The magic ingredient is shea butter that provides moisture and a light hold. This is one of my personal favorites I've been using for years when straightening my curls. The lightweight spray is great as a pre-protectant that won't leave your flat iron sizzling or your hair frying. The biotin enriched formula will also leave your hair super soft so no worries about over drying. 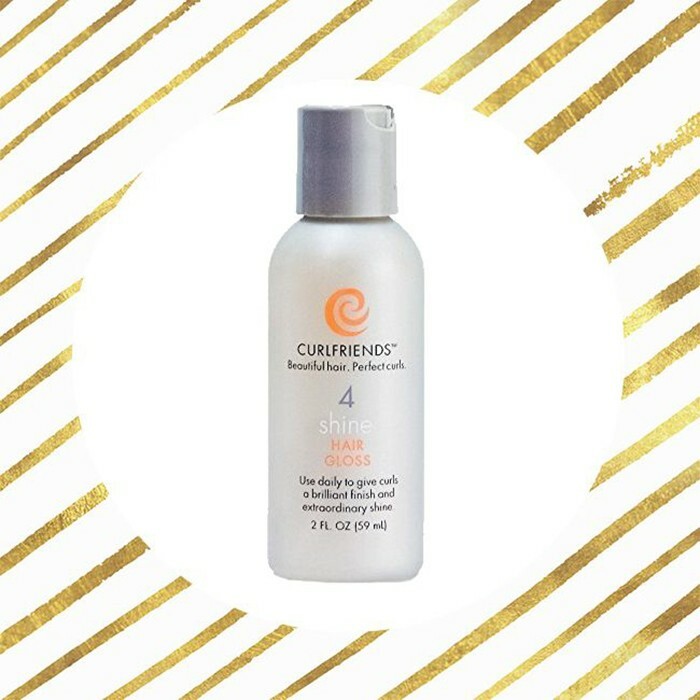 Protect your hair with our Thermal & Heat Protectant Spray. 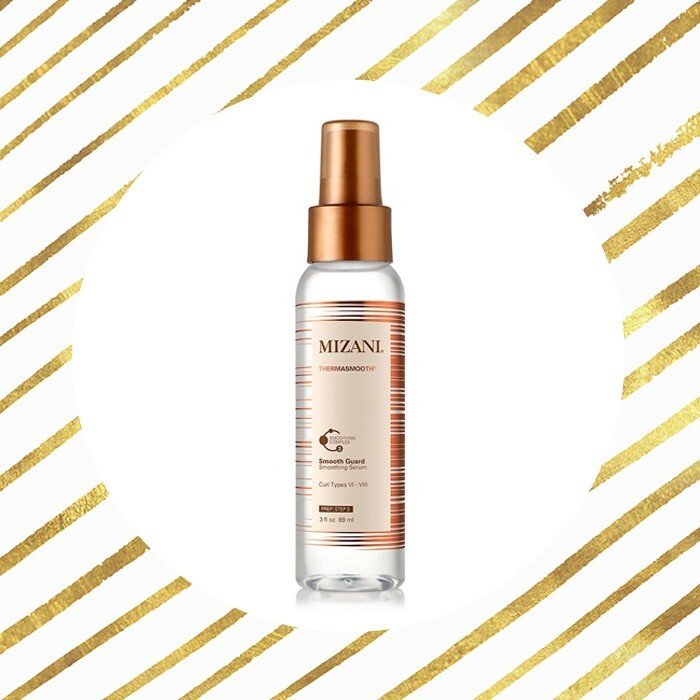 This spray is specially formulated with Mongongo Oil to protect the hair from extreme heat temperatures. 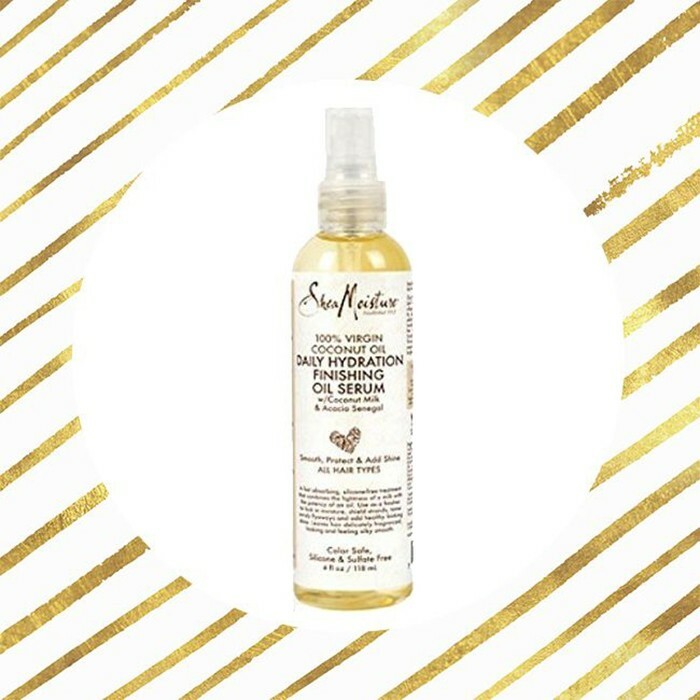 The ultimate solution for repairing split ends, eliminating frizz and adding shine. You can't control the weather, so pick your days to straighten your hair wisely so rain/snow doesn't ruin your hard work. Finding your ideal straightening combination will take time. Whether it's serum, blow dry, flat iron, heat protectant or all of them, there will be trial and error. Don't keep reapplying heat to your hair. Try to spare daily or repeated usage of the flat iron on your hair, depending on the length of time your hair will be straight, make sure to keep as much heat off it when it's done to prevent damage. Are any of these your favorites? Share with us in the comments below.